Is there a better alternative to Scannerz? Is Scannerz really the best app in System category? Will Scannerz work good on macOS 10.13.4? Scannerz needs a rating. Be the first to rate this app and get the discussion started! 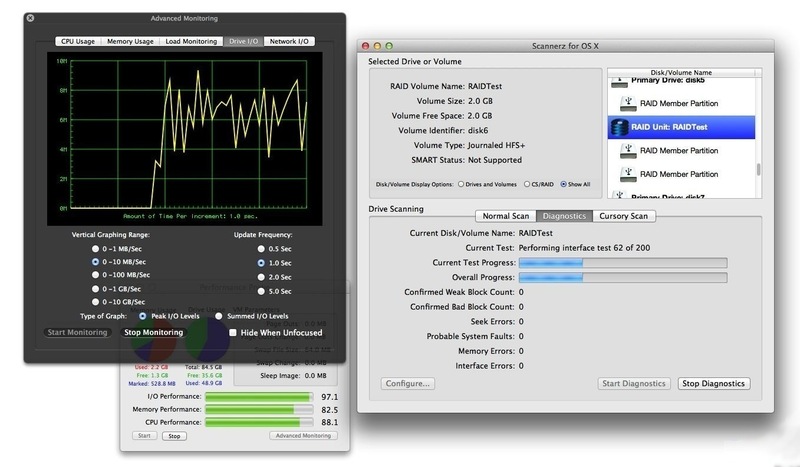 Scannerz is a set of hard drive, SSD, and system analysis tools designed to help users isolate hardware and performance problems with their system. 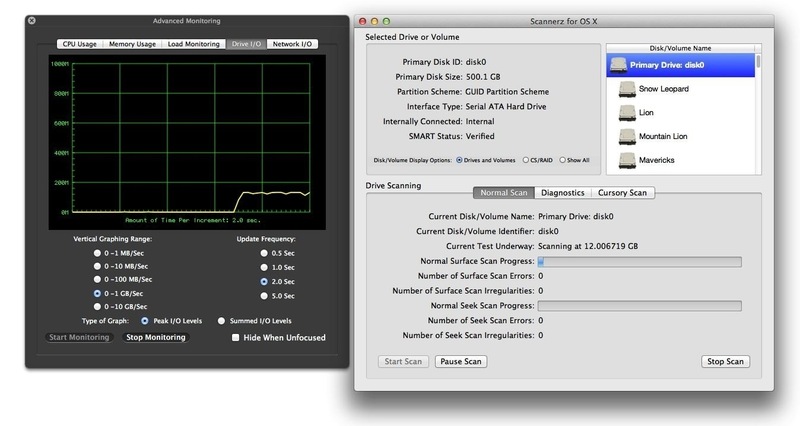 Scannerz itself can help identify problems with hard drives, SSDs, interconnecting support circuitry, and logic boards. Performance Probe 2 can help identify software problems, hard drive or SSD performance problems, network bottlenecks, and overactive or memory intensive applications. FSE or FSE-Lite allow the user to identify which applications are making excessive use of the hard drive or SSD, with FSE being configurable. The tool Phoenix, can allow a user to perform very basic drive cloning, create an emergency boot drive on an external drive or USB flash drive, and perform file recovery on a damaged drive. 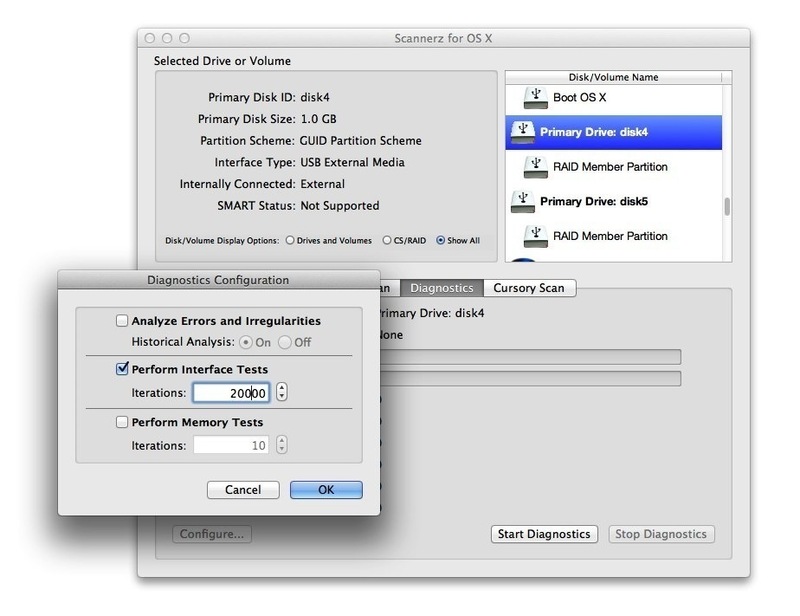 A multi-drive/volume logical volume created in Sierra, El Capitan, Yosemite, Mavericks or Mountain Lion using Core Storage can be tested in its entirety or by each individual drive component comprising the logical volume. Fully encrypted Core Storage based drives or volumes may be scanned directly without needing to use an external drive or another bootable media. Core Storage volumes can be evaluated using Mac OS X 10.6 Snow Leopard, although Core Storage volumes will not be mountable since these OSes cannot inherently recognize Core Storage. There is also full support for Apple RAID, as well as most hardware RAID units. 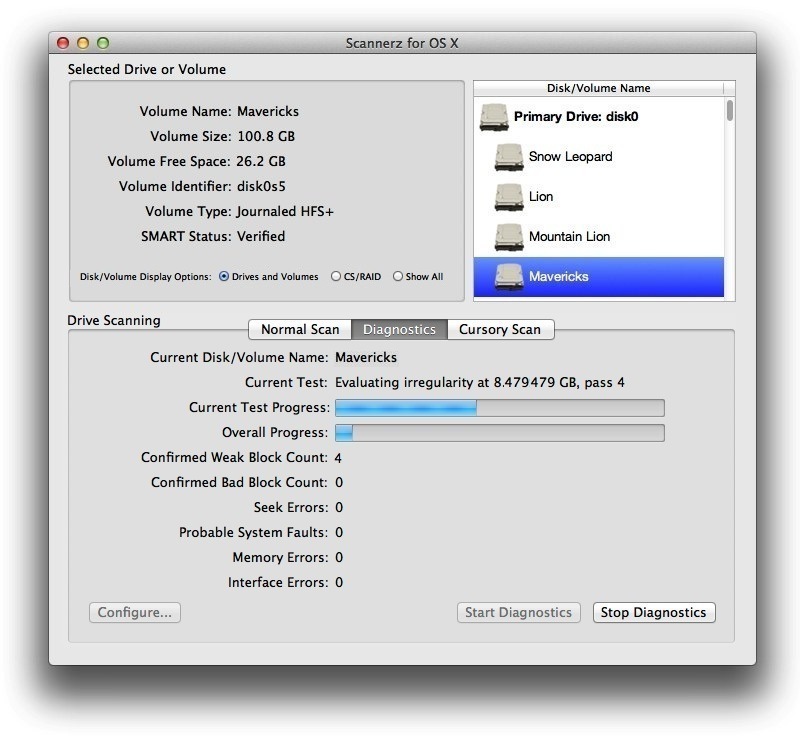 Scannerz can also handle drives not normally recognized by Macintosh computers as well as some drives too damaged to be properly detected by the operating, assuming the drive is at least still operational. This release will also support the latest versions of Sierra (macOS10.12). Limited support is provided for third party software RAID implementations.